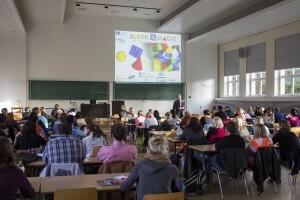 The 21th October 2013 Professor Wolfgang Donsbach and Anna Brüsehaber presented the Block Magic project in Dresden in the Technical University of Dresden. 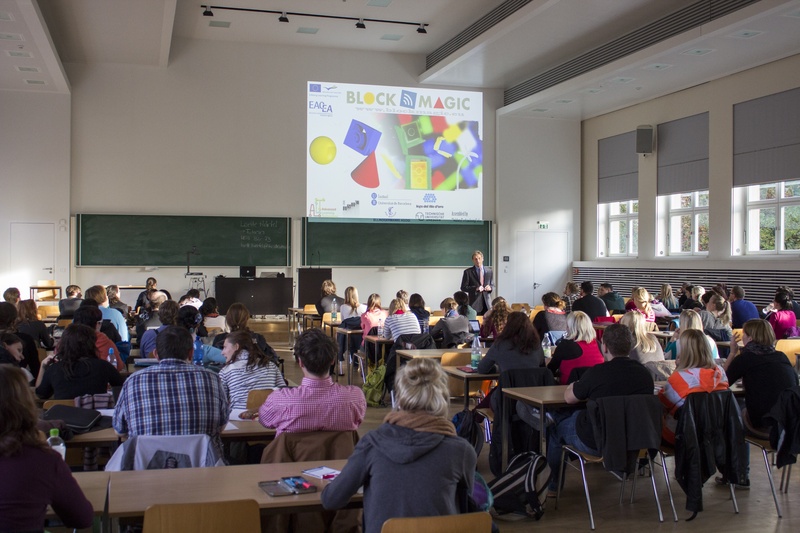 The BlockMagic Partner involved doctors, professors and students of different faculties, e.g. educational technologies, media education, science of educations or lectureship, in order to discuss about the contents, achievements and potentialities of the project. The total number of the attendances were about 70, and at the end of the speeches they had the chance to ask questions or to discuss about their personal possibilities to apply Block Magic in future applications with fruitful results.